This is the time of year for block parties. Here is a recipe to feed a ton of people on a dime. 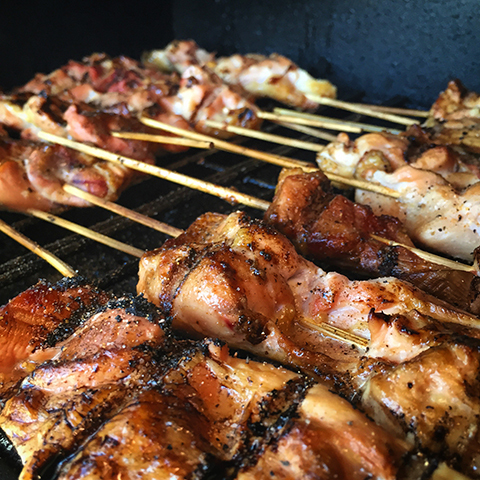 We combine inexpensive boneless skinless chicken thighs, a sweet and savory sauce and the smoke of your Green Mountain Grill for the perfect bite to impress your friends. 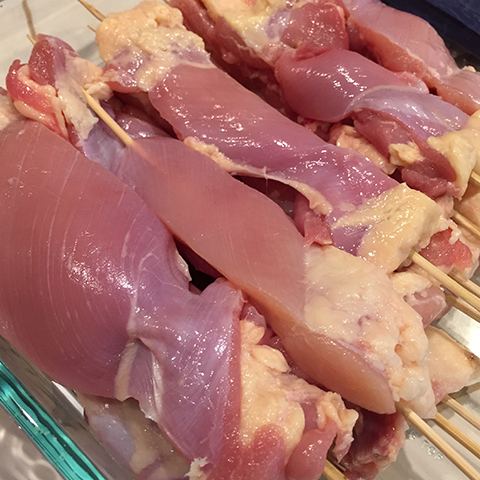 Start by slicing the chicken thighs into 1 in wide strips and skewer them. Season lightly with salt and pepper and place on your GMG with the temperature set at 275f and cook for 1 hour, flipping once. While the chicken is cooking combine all your sauce ingredients and set aside. Remove your chicken when the internal temperature hits 170-185f. Then brush your sauce on the chicken and return them to the grill for another 10 min. 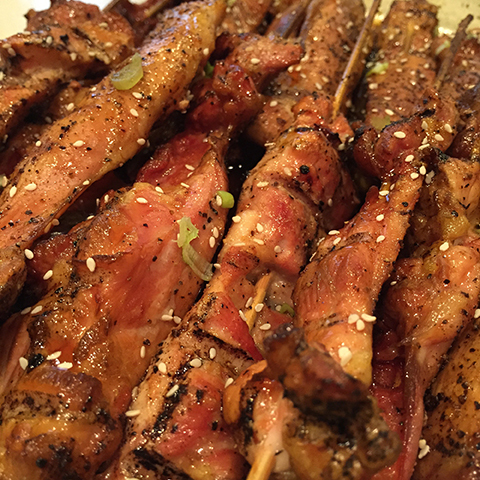 Finish by adding a second coat of sauce and garnishing with sesame seed and green onion when done. I hope you enjoyed this recipe, if you have any questions on the post or any other post please leave them in the comments below.